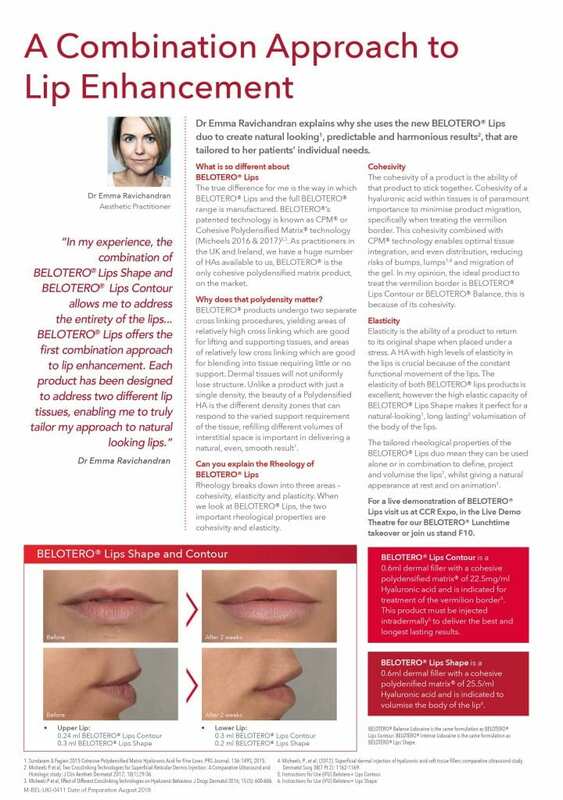 Clinetix Rejuvenation Director Dr Emma Ravichandran BDS.MFDS explains why she uses the new Belotero Lips duo to create natural looking, predictable and harmonious results, that are tailored to her patients’ individual needs in Aesthetic Journal. What is so different about Belotero Lips? The true difference for me is the way in which Belotero Lips and the full Belotero range is manufactured. Belotero’s patented technology is known as CPM or Cohesive Polydensified Matrix technology ((Micheels 2016 & 2017)2,3). As practitioners in the UK and Ireland, we have a huge number of HAs available to us, Belotero is the only cohesive polydensified matrix product on the market. Why does that polydensity matter? Belotero products undergo two separate cross linking procedures, yielding areas of relatively high cross linking which are good for lifting and supporting tissues, and areas of relatively low cross linking which are good for blending into tissue requiring little or no support. Dermal tissues will not uniformly lose structure. Unlike a product with just a single density, the beauty of a Polydensified HA is the different density zones that can respond to the varied support requirement of the tissue, refilling different volumes of interstitial space is important in delivering a natural, even, smooth result (1). Can you explain the Rheology of Belotero lips? Rheology breaks down into three areas – cohesivity, elasticity and plasticity. When we look at Belotero lips, the two important rheological properties are cohesivity and elasticity. The cohesivity of a product is the ability of that product to stick together. Cohesivity of a hyaluronic acid within tissues is of paramount importance to minimise product migration, specifically when treating the vermillion border. This cohesivity combined with CPM technology enables optimal tissue integration, and even distribution, reducing risks of bumps, lumps (1,4) and migration of the gel. In my opinion, the ideal product to treat the vermillion border is Belotero Lips Contour or Belotero Balance, this is because of its cohesivity. Elasticity is the ability of a product to return to its original shape when placed under a stress. A HA with high levels of elasticity in the lips is crucial because of the constant functional movement of the lips. 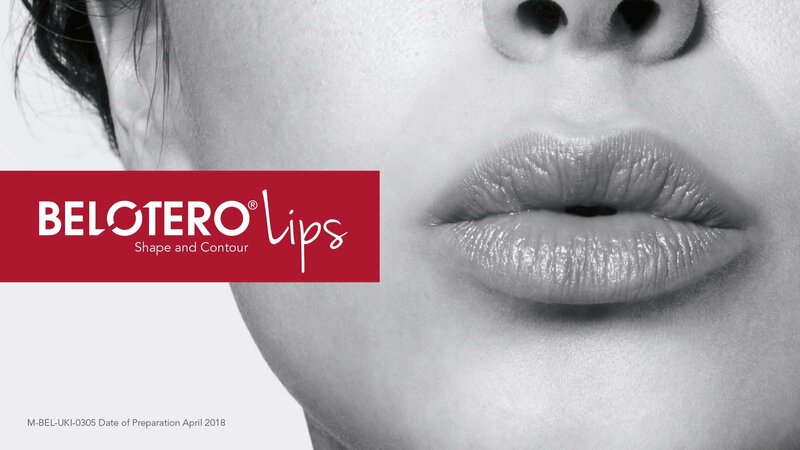 The elasticity of both Belotero lips products is excellent, however, the high elastic capacity of Belotero Lips Shape makes it perfect for a natural-looking(1), long-lasting (2) volumisation of the body of the lips. The tailored rheological properties of the Belotero Lips duo mean they can be used alone or in combination to define, project and volumise the lips(1), whilst giving a natural appearance at rest and on animation(1). 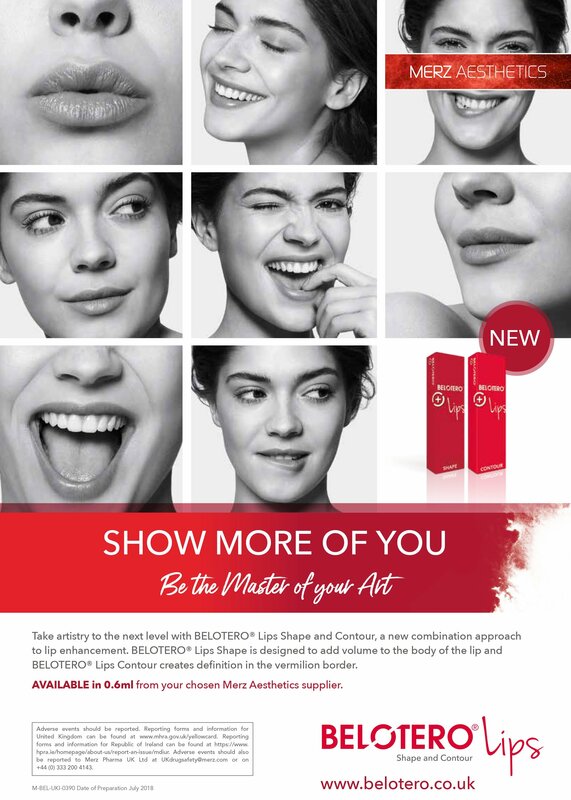 Belotero Lips Contour is a 0.6ml dermal filler with a cohesive polydensified matrix of 22.5mg/ml Hyaluronic acid and is indicated for treatment of the vermillion border(5). This product must be injected intradermally(5) to deliver the best and longest lasting results. Belotero Lips Shape is a 0.6ml dermal filler with a cohesive polydensified matrix of 25.5mg/ml Hyaluronic acid and is indicated to volumise the body of the lip(6). 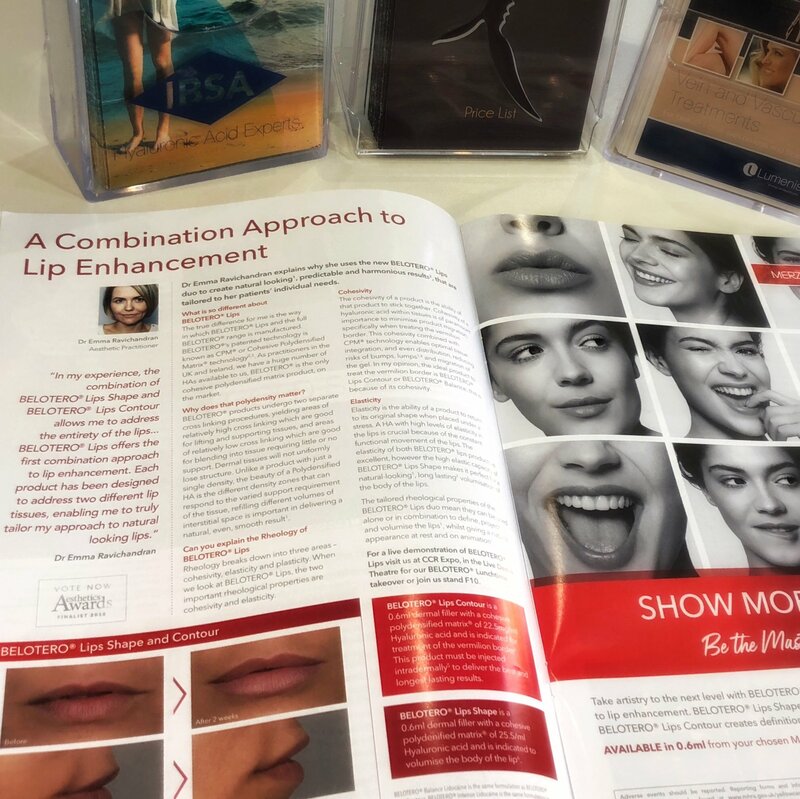 If you would like to arrange a complimentary consultation with Dr Emma Ravichandran BDS.MFDS or any of our expert medical practitioners to discuss Belotero Lips Shape and Lips Contour products please call the clinics on 0141 221 0229. Sundaram & Fagien 2015 Cohesive Polydensified Matrix Hyaluronic Acid for Fine Lines. PRS Journal. 136:149Ss, 2015. Micheels P et al; Two Crosslinking Technologies for Superfical Reticular Dermis Injection: A Compartive Ultrasound and Histological study; J Clin Aestheti Dermatol 2017; 10(1) 29-36. Instructions for Use (IFU) Belotero+ Lips Contour. Instructions for Use (IFU) Belotero+ Lips Shape.